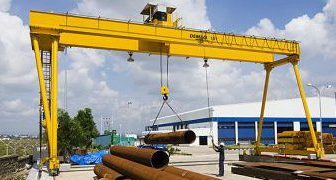 CRANBALT AB is a manufacturer of bridge cranes, gantry cranes, cantilever jib cranes and lightweight cranes as well as their components and beams. We can guarantee you quick and efficient manufacturing of cantilever racks and other steel structures. We perform plasma cutting of sheet steel of varying thickness. 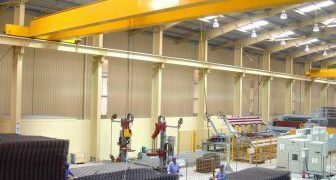 Single girder overhead traveling cranes are supported on rails and are designed for load transfer and transportation. 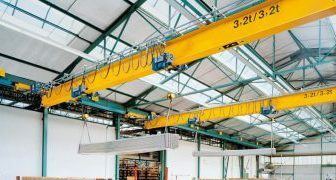 Double girder overhead cranes - supported on rails, can easily transport heavy loads weighing up to 200 t.
Underhung cranes need the installation of crane runways, maximum load capacity of these cranes can reach up to 10 t, the maximum span up to 24 m.
A cantilever jib crane is an excellent choice to accelerate work within production lines, workstations, workshops or warehouses. 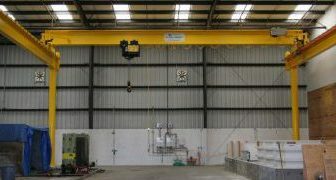 These cranes feature fast installation and easy maintenance. 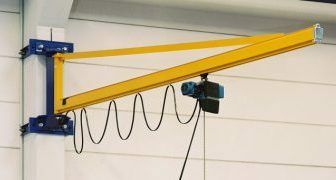 Lightweight cranes are distinguished by their consistently lightweight design. 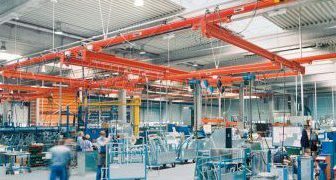 Lightweight crane systems are designed and selected taking into account individual technology and design requirements. Gantry cranes are mounted on rails installed on the ground whereas semi-gantry cranes have one side of rails mounted on the elevated runway.